Indonesian food is famous for its delicious and spicy taste. And the secret behind those famous delicious dishes is none other than the rich herbs and spices that are in it. We’re going to tell you about 15 of those herbs in Indonesia that are the most popular and often used for cooking, they’re the ones that make subtle difference between our food and any other dishes in any other countries. Here are the 15 most popular herbs in Indonesia. Lemongrass, or what Indonesians call serai/sereh, is a herb that belongs to grass familiae. It is often used as spices to enhance the aroma of the food, just like daun salam. 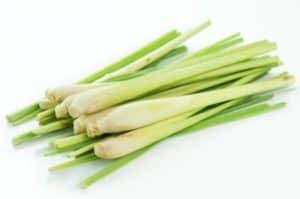 To use this one of most popular herbs in Indonesia in your dishes is by smashing the lemongrass until its edge—the bottom part that is layered—breaks open. Then you can put some of them in the cooking pan to use it along with other herbs and spices. You can tell that lemongrass is used when your cooking becomes more aromatic than before. It has a hint of spicy taste in it, therefore you don’t need to use many of this herb in your cooking, perhaps one or two stems is enough. Nutmeg—that has Latin names Myristica fragrans—is a herb that grows and taken from a tree. It originated from Banda Island, Maluku, Indonesia. Locals call it pala and usually use this herb as basic cooking spice in their dishes, like chicken semur—chicken stew with soy sauce, for instance. 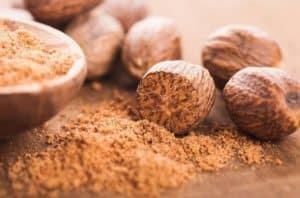 Nutmeg shapes like a nut and you usually have to break them apart and grind them. 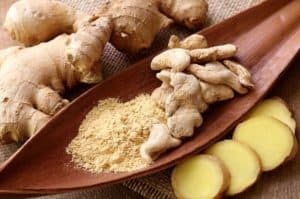 Because of its strong taste, you usually don’t need a lot of its ground in your cooking, maybe a pinch or so because the smell itself is also already strong. Indonesian traditional dishes can’t be separated from this herb. This one belongs in spices familiae and shapes like fingers. The skin of this herb has brown yellowish lines and pretty thin. But even then, it would be easier to burn this herb first before peeling it, as it would be easier to do it when its skin is pretty dark. It tastes a bit bitter and smells very subtle. Usually this herb has yellow color, but when it’s pretty ripe, the color becomes almost orange and you can use this as natural coloring. Be careful, after using this herb with your bare fingers, you’ll find yourself with yellowish fingertips and can be pretty difficult to clean. This one called lengkuas or laos by Indonesians. It has Latin names Alpinia galanga and is the kind of root herb. They can grow either on lowland or plateu. Indonesians usually use galangal as cooking spice and traditional herbal medicine that we call jamu. 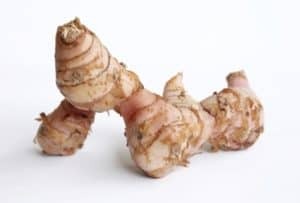 Its texture is almost identical with ginger but with lighter reddish color and its flesh is rather difficult/hard to cut. You can break them apart by smashing them first before put them into your cooking. It can enhance the taste of your cooking and one of the most popular and often used herbs in Indonesia. Sundanese calls this herb picung as well as some people in Central Java, Torajans call it pamarrasan. But most of Indonesians know this herb as keluak, keluwek, or kepayang. Keluak, or Pangium edule, is a herb that shapes like wild tree. Its outer built is hard, solid, and colored gray. Inside, the flesh is dark brown to black and pretty soft. This one inside is the one used as spice in Indonesian cooking, mostly and most famously used in rawon—beef stew with black broth, the black comes from keluak itself. This one of most popular herbs in Indonesia is also used in konro soup and a Makassar dish called brongkos. This one called jinten, or maybe you’re more familiar with caraway seed by the name. 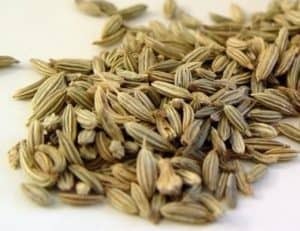 Other than used in cooking, cumin is also used in traditional medicine. Cumin has three kinds: cumin (black colored), white cumin, and anise seed (sweet cumin). 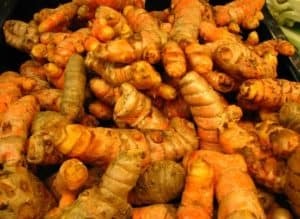 It is widely used here in cooking because it’s one of most popular herbs in Indonesia, such as opor, gulai (both are stew with coconut-milk broth), or curry. 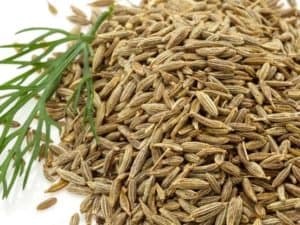 Cumin is usually roasted first or ground with other herbs and spices. You can find cumin as seed as well as ground. Coriander is actually originated from southern Europe, and also known as cilantro. It’s very small shape, around 1-2 millimeters. It resembles pepper but even smaller and darker colored, lighter and feels like hollow on the inside. Many traditional Indonesian dishes use this herb that makes them more aromatic. 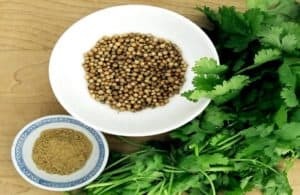 Coriander or ketumbar better be whole and has big grains to put in cooking, grind them along with other herbs and spices. Before using them, roasted them first and keep them in a tight sealed jar for longer storage. 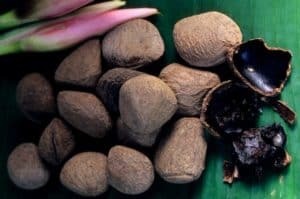 Candlenut, or Aleurites moluccana, is a herb in which its seed used as spice and oil source. This herb belongs in cassava familiae and included in Euphorbiaceae. It’s also sometimes called candleberry and indian walnut. Even though very famous and often used in Indonesia, this herb originated and official plant of Hawaii. 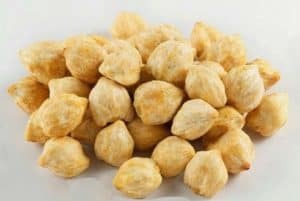 Indonesians use candlenut in their dishes to enhance the salty and crisp taste. Javanese sometimes use candlenut as thick sauce eaten with veggies and rice. Cinnamon or kayu manis (Cinnamomum verum) is the kind of verb that produces and used as spice. 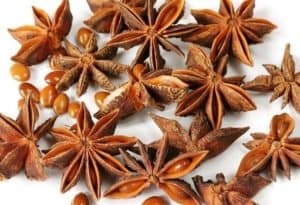 It has this specific scent that is both sweet and spicy and usually put into cooking to enhance the smell. Cinnamon is believed to be one of the oldest herbs in that used by humankind, originated in Egypt around 5000 years ago. 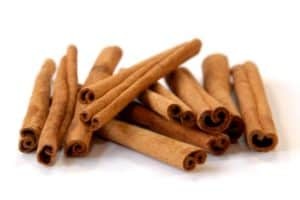 Cinnamon is now also used in cakes and beverages to give an exotic smell and taste to their flavor. The root of this herb is usually used as spice in Indonesian food and beverages. Most famously used as wedang jahe or ginger ale. The purpose to put this herb in dishes is to prevent the odor of some fishes or other ingredients, as well as to enhance their aroma. Indonesians call this herb jahe (Zingiber officinale) and it shapes like fingers. It originated from India, some believe it’s from China, and brought to Indonesia as one of trade goods. This herb—that is usually called klabet—shapes in small pellet, almost like pebble. It’s often used as herb in dishes that are rich with spices. 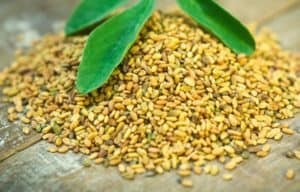 Other than Indonesia, fenugreek is often found in India, Pakistan, and Sri Lanka. In Inhadonesia, fenugreek is famous in Aceh to be put into curry, gulai, and kalio. You should roast this herb first and then add them into your cooking. Roasted fenugreek has special aromatic that could enhance the scent your cooking. Citrus leaf or Citrus hystrix, clearly, is citrus’ leaf that often used as herb in some Indonesian dishes. The kind of leaves that used in cooking is the dark green ones, shapes round and sometimes oval with blunt edges. 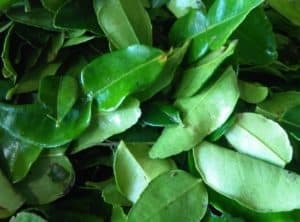 It has this fresh aromatic so people use this leaf not only in their dishes, but also cakes and even beverages. In dishes, you usually put the whole leaf to be sauteed or boiled with other herbs and spices. Sometimes it’s thinly cut for spreads. Or you can grind the leaf, throw away its stem, then use it for your cooking to get maximum effect of this awesome and one of most popular herbs in Indonesia. Pekak or bunga lawang (lawang flower) is the kind of herb that has this sweet taste, like sweet adas. This herb is usually found in Asian dishes, mainly in China. Its tree can grow up to eight meters and the fruit is harvested after six years. To use this pretty flower, you don’t have to grind them first or something, just put them into your cooking or you can saute them first with other herbs. You can cook beef with this herb to get delicious smell and taste. You don’t need this one of popular herbs in Indonesia much in your cooking, though, because it would make them taste bitter. Pimpinella anisum or sweet adas (adas manis) is a herb that originated from Middle Sea and Western Asia, its size is only 3-5 millimeters with oval shape. It tastes a bit sweet with specific aromatic. So it’s easy to guess that this herb is often used to enhance the smell of some dishes, as well as their taste. You can also exchange celery with this herb in your soup or put this sweet adas in your salad. Those are complete explanation about herbs in Indonesia.